Quicklime and hydrated lime are essential to improve water quality and aid in water softening. 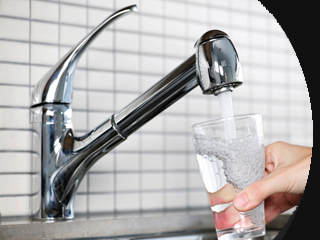 The American Water Works Association has defined standards regarding quicklime and hydrated lime used in the treatment of drinking water. Quicklime can be used in the process of removing suspended and dissolved solids in wastewater treatment. Quicklime is used to treat sewage bio-solids or sludge. Quicklime controls the chemical environment by converting the sludge into a usable product for other markets such as fertilizer, soil and fuel substitutes. Industrial wastewater treatment uses quicklime and hydrated lime to neutralize acid based and heavy metal discharge wastewater. Quicklime neutralizes the industrial wastewater and allows the recovery of water for reuse. Quicklime is identified by the Environmental Protection Agency (EPA) as a suitable product to treat, stabilize and solidify hazardous wastes.